The doll was innocent, but its outsize demand made it seem almost sinister. 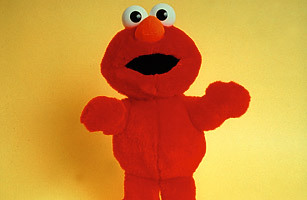 Released by Tyco Toys in 1996, Tickle Me Elmo delighted children with its ability to giggle and vibrate with laughter. What wasn't quite as funny was how seriously parents took their quest to snag one. The toy was so hard to find around the holidays that year that even after a million units had been shipped, stores sold out in minutes; early buyers began reselling the doll at prices up to $2,000. Said one seller: "If people are idiotic enough to pay that kind of money for a doll that cost $29 at Target, then I'm enough of an idiot to sell it to them." Scuffles ensued when shipments arrived in stores; one employee at a New Jersey Walmart was tackled by about 300 customers on Dec. 15, 1996, while holding up the store's lone remaining Elmo. (He suffered a broken rib and a concussion.) While spin-offs inevitably hit the market  including Tickle Me Cookie Monster, Big Bird and Ernie  none of the imitations could capture Elmo's appeal. Read a Q&A with Kevin Clash, the man behind Elmo.